Slipstream Sports announced the signing of American Logan Owen on Wednesday. The 22-year-old has spent the last four seasons racing for Axel Merckx’s U23 program, Axeon-Hagens Berman, where he became the first American to win Liège-Bastogne-Liége and delivered the team’s first Tour of Utah stage win. A ten-time cyclocross national champion, Owen gave up ‘cross in 2016 in pursuit of a WorldTour contract. Owen considers himself a Classics specialist although he’s yet to determine if his talents are best leveraged over the cobbles or up the Ardennes’ hills. The opportunity to ride alongside and learn from Slipstream Sports’ Classics captain Sep Vanmarcke is an exciting prospect for Owen. His focus on teammates makes sense given his goals for his first WorldTour season. Owen wants to be “the best teammate possible” in 2018. “That’s the goal every year, of course, but especially during this year, which I consider a learning year,” said Owen. “I want to help my teammates win races. Any personal ambitions will take a back seat as I learn the ropes of being in the WorldTour and help my teammates as much as I possibly can. As Owen looks forward, he also looks back. 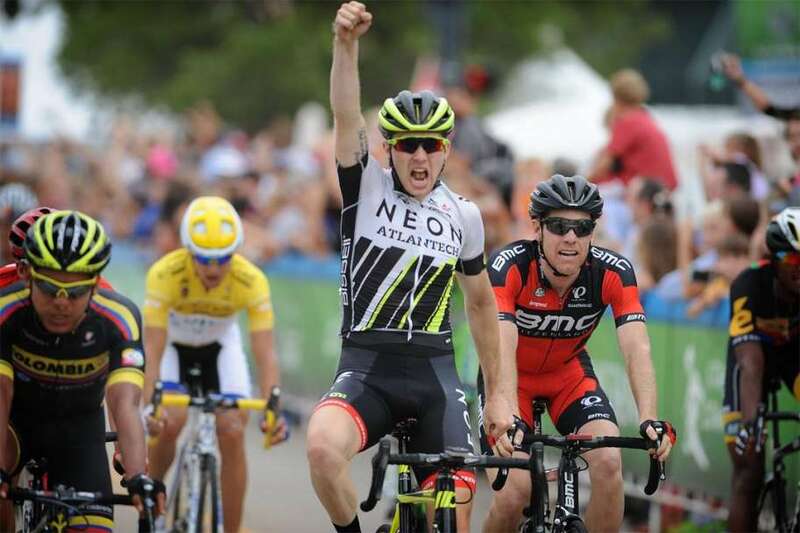 Photo – Logan Owen wins stage three of 2015 Tour of Utah in Bountiful.